With the introduction of Virtualization, people got amazed to the notion of a device within a device. But today, you can see it easier to do so especially when you wish to have Android Smartphone interface on your Windows powered PC with the help of Android emulators currently present in the market. There are multiple occasions when you may have to use Android emulator like if you wish to play Android games on a bigger screen etc. When it comes to Android emulators, Bluestacks pops up in the mind, instantly. But there are drawbacks to Bluestacks which make us look for its alternatives. Few of the negative points that go against Bluestacks are following. Bluestack is quite sluggish, during installation, running, and other processes. Bluestack can slow down your system, which happens in most cases. Bluestack is mere basic app player and is not fit for development-oriented tasks. 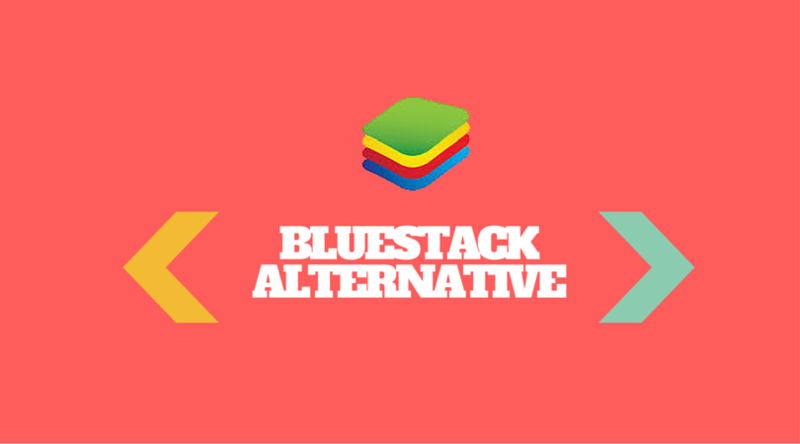 So, if you don’t like Bluestacks and looking for its alternatives, you are at the right place. Mentioned below are the best Bluestack alternatives. Android-x86 is a solution which is based on Android Open Source Project, and it allows you to run Android app on devices powered by IntelX-86 or AMD processors. There are many changes made in the code for ensuring compatibility with PC architecture. Like Console OS, this is also a Linux-based distribution which comes with LiveCD, which you can use to test this OS. So if you are going for developer-based things, this is the perfect choice for you. Few of its notable features include complete Android application support. Android-x86 is also completely free. This Android emulator for Windows and Mac is perfect when you are fed up with limited screen size and storage option of your Android Smartphone. Talking about working on Andy Android Emulator, ease of use of this emulator is quite phenomenal. All you have to do is install, launch using a click and you get the cool Android experience up in a jiffy. Among its numerous features are the ability to play almost all the popular Android games, camera and microphone integration, access to local file system, etc. So, if you are not looking for developer-friendly solution and solution that will provide Android experience on your PC, this is a perfect choice. Another super Android Emulator that brings the apps to your Windows powered PC. It has full support for old and new Windows OS, inclusing XP, 7, 8 and 8.1 and it also covers both 32 and 64 bit processors. Another good thing about YouWave is the support for multi-player gaming and an additional app store for your favorite apps. It runs on VirtualBox and some might feel a lag in performance due to this. But if you can allow enough RAM and resources to this software on VirtualBox it will be as good as any other Emulator. This app is not free and you have to pay a mere price of $19.99 to use it. For people that need to get their favorite apps on PC, this price will hardly matter. With all the looks and performance, I would recommend this app as a good Bluestacks alternative. AMIDuOS is a lightweight Android emulator that can run your Android apps on your Windows powered PC with ease. You don’t have to wait for the long installations and hefty procedures. The booting and functioning of the app is highly stable and it runs on Android v4.2.2. With the recent beta release it can now work on Android v 5.0 Lollipop. After the easy installation process that gives your step by step instructions you will be happy to see the pre-loaded Amazon App store that is a good replacement for Google Play Store. It also has support for 3D acceleration for great gaming experience and with your big PC screen you will love to play games like never before. Another great thing about this app is its support for different hardware like for tablets all the sensors, GPS support, multi-touch features, audio enhancements, camera etc are ready to use and for your desktops it will support any extra hardware and ethernet attachments. The trial period for AMIDuOS is 30 days and you can use it, play around and then pay a fee of $9.99 to get the supported version. Highly recommended for Windows and Android enthusiasts. It is another potent BlueStacks alternative app which allows you to easily run any of the favourite Android apps on the PC. It is available free of the cost to all of the users and supports few of the most advanced features like OpenGL as well as hardware acceleration. One of the most salient feature of this particular app is that it emulates all of the Android apps as well as games for free on various Android devices. You can also install any of the favourite apps on your own favourite Android smartphone while you actually don’t have any Android phone. Along with various Android devices, you can easily choose various Android versions to check the app compatibility easily. It is another BlueStacks like Android emulator for the users of PC that allows you to utilize any of the Android apps on the PC easily. It assists in helping the user to easily use any of the favourite Android apps on the PC for free. It is free of cost as well as easy to use software that works fine in case you have any touchscreen laptop or PC. You can also download this software for your own PC from its own official website and then easily use any Android app on the PC. One of the most significant and salient features of this particular emulator is that it actually allows you to easily download any Android app directly as you actually download using BlueStacks and also easily play any of your favourite Android games on your laptop or PC. It is another better and free BlueStacks alternative for Linux, Windows, Mac users. It is quite easy to use as well as open source Android emulator to easily run commercial GameCube games and even the Wii remotes on the PC for free. It has a great user interface as well as easy to use an app for all of its users. The best feature is the ability to action replay in case you seem it is cheating. It can record all of your as well as your rival’s moments while you are playing a game such that there is no cheating happening. It also has a map function of the controllers of original GameCube as well as Wii remotes in this particular app. It is another amazing and brilliant emulator like BlueStacks. It actually allows you to easily install as well as run any favourite apps of yours on your Mac or Windows PC. One of the most salient feature of this particular app is that it supports keyboard, mouse and gamepad of the computer which allows you to express your own gaming experience on the PC. It is quite easy to use owing to its great user interface. It actually allows you to get easy access to different functions like adjust volume, location and others. Sometimes it may actually have a lag, but when it comes to overall experience, it is quite impressive as well as satisfying Android emulator for your PC. It is another premium Android emulator like BlueStacks. This particular app is specifically made for gamers. It provides a great experience while you are playing any of the favourite Android games on your laptop or PC. It also allows you to actually run millions of Android apps on the PC for free. You can easily use a mouse, keyboard and gamepad for the purpose of playing any game on your laptop or PC. You can easily install it and use on your PC or laptop as it is quite easy to download from the link. Just install it and use it to installed Android apps on your laptop or PC. It is the latest Android app playing platform that allows you to use any of the Android apps on the PC easily. It also allows you to use the messaging app in order to chat with strangers or any game app on the PC for free. It is quite easy to use as well as free BlueStacks alternative app for the PC users where they can easily use any of the Android apps on the PC. You can also control the apps using your own mouse. It is also available for both major operating systems like Mac and Windows users such that you can easily utilize this Android app player app on the laptop or PC. Very Nice, Thanks for sharing the three alternatives for Bluestack.